We are enjoying a lot of snow this week and it’s reminding me of all the days when I had my boys home with me. There were so many days where it was too cold to stay out for long, so we did lots of fun things inside. Of course I had to get some sneaky learning in there with some letter practice! 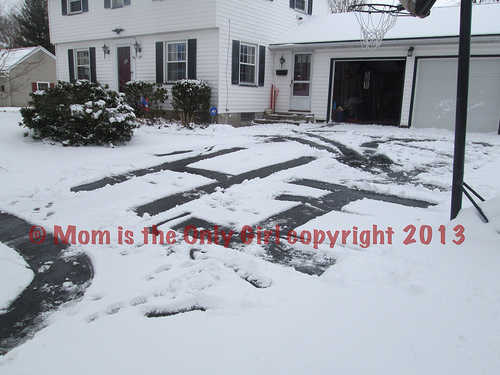 When there is just a dusting of snow on the driveway, slide your shovel along and draw shapes and letters! We called this making ‘Winter letters’. My boys seemed to love figuring out what letters I was making! (Sneaky, fun way to practice letters, right?!) When you come indoors bring some with you (in a container) and conduct a little snow-melting experiment! 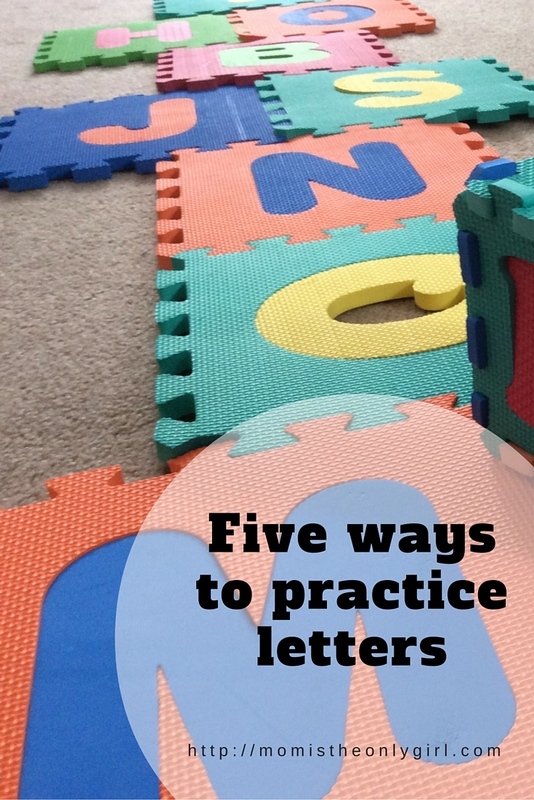 There are so many ways you can play with those big foam letters! You know, the ones that come in the interconnectable floor mats? You can make boxes, connect the letters to form words, or simply practice letter recognition by matching the letter cutout to the empty letter! And of course, you can bring out the shaving cream! Shaving cream play is a great way to get kiddos’ little fingers moving! Its fun to spread in a tray and write in. They can practice letters or write words, too. Its great to push around with little cars (we do this in the summer on rainy days or when its too hot outside too, as you will see by the pics in this link!) 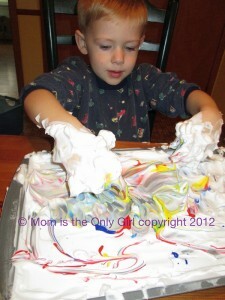 Its also a great sensory activity to bring out when you need a change after being cooped up indoors for too long! These are just three items that you can pull out, and links to five past posts about the fun we had with them (and an experiment with snow)! Read a post or two and get busy with your kiddos! But don’t forget to sign up for the newsletter first!